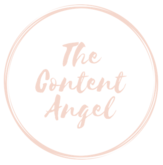 Welcome to The Content Angel – a creative content agency based in West Sussex. Do you want to create content that really engages and interests your audience? I find the words you’re looking for. My strategy is storytelling. I devise content that authentically tells the story of your brand, helping you to truly connect with your audience and grow your business.